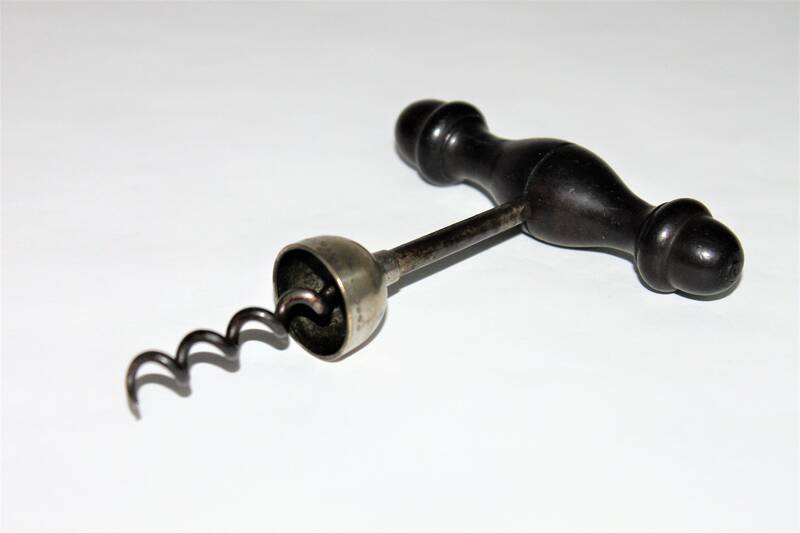 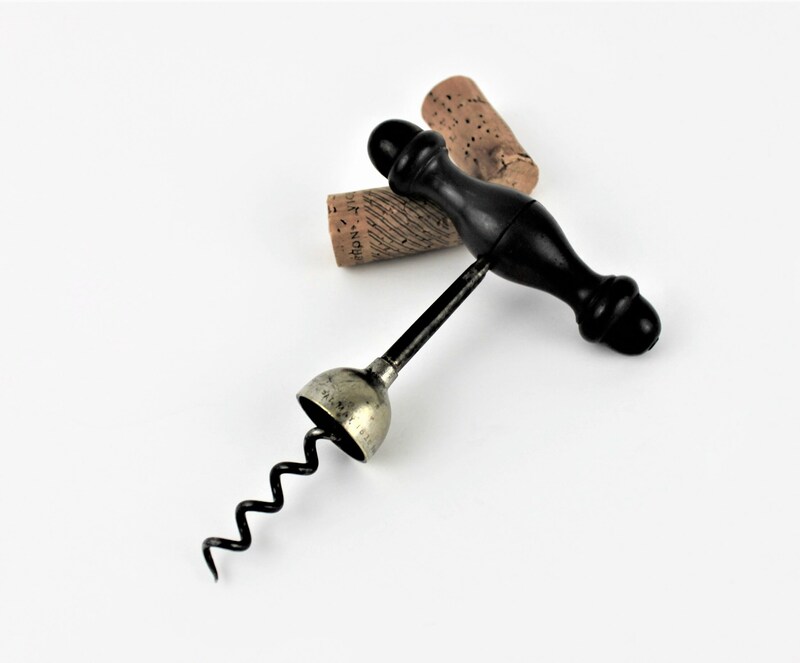 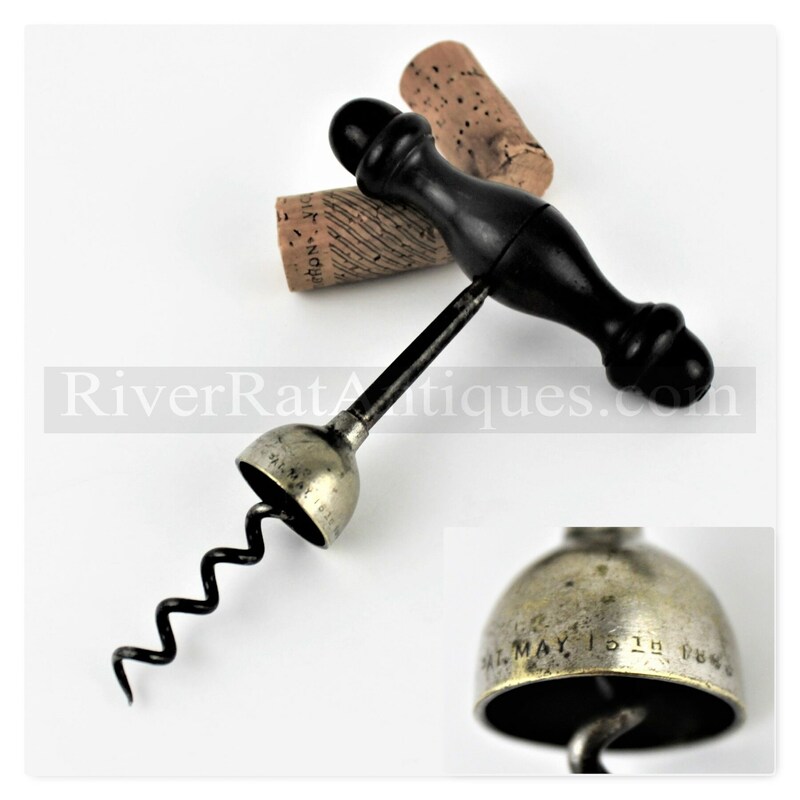 This was the first American patent for a bell style corkscrew, when inserting into the cork the bell-shaped dome above the screw hits the top of the bottle and force the cork to start pulling from the bottle the dome is hollow and allows room for the cork. 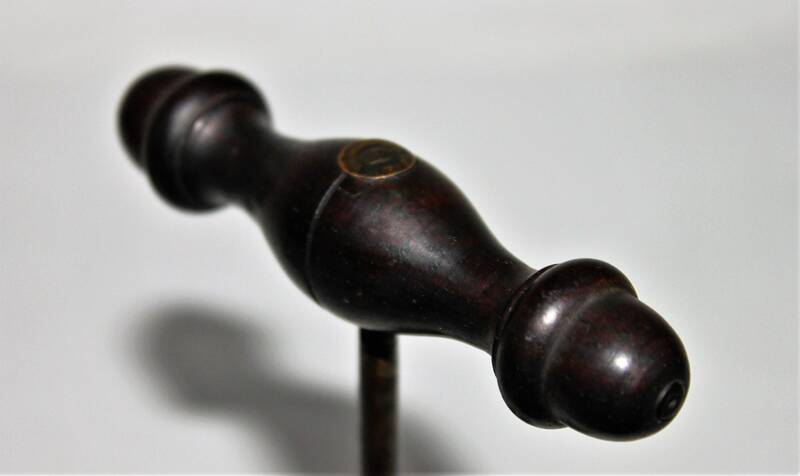 The lovely wood handle with acorn tips is in extremely nice condition. 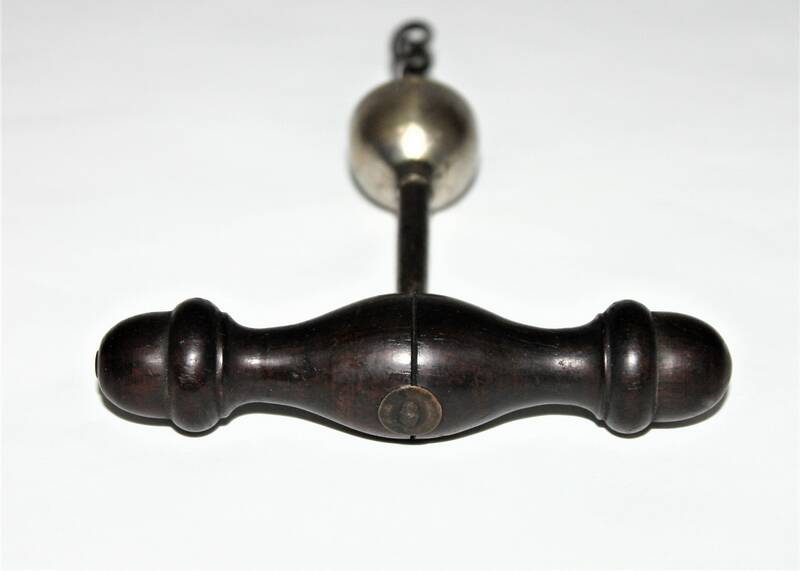 there is markings on the shank but cannot fully read. 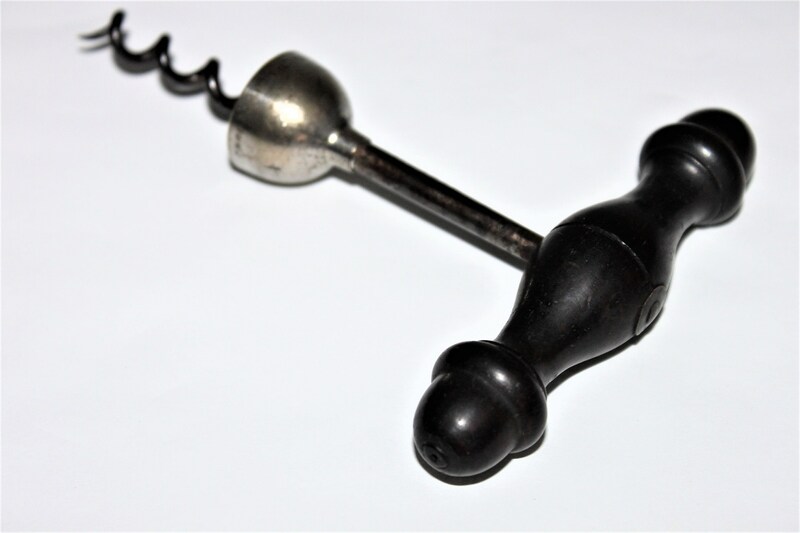 Condition is good with normal wear, handle is in excellent condition with wonderful patina.